How Many Calories Are Burned While Running Six Miles? 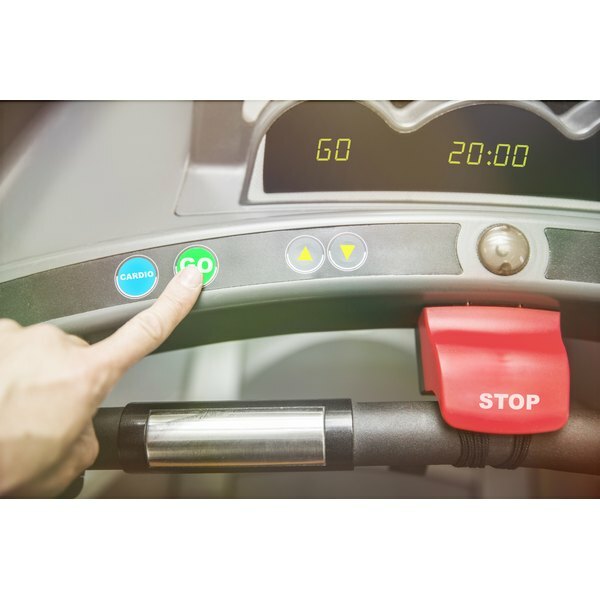 If you are planning to use the treadmill to lose weight, you’ll need to also follow a calorie-controlled diet. You will also want to choose nutrient-rich foods for energy to optimize your running workouts. Before making changes to your diet and exercise routine, consult your doctor. He may suggest you also add two to three days of strength training routines to your treadmill regimen to build lean muscle. In the morning, you should always have breakfast. If you plan to use the treadmill in the morning, you should plan to eat at least one to two hours before your workout. If you don’t eat at all, you’ll feel tired and not be able to increase the intensity of your workout. Eat a light breakfast such as whole grain cereal with skim milk, small bagel with peanut butter, banana, fruit cup or glass of juice. If you happen to workout later in the day, you should still plan to eat before running on the treadmill. Snacks can be consumed up until an hour before exercise. Allow two to three hours for digestion if you are eating a small meal. You need at least three to four hours before exercising for large meals. If you eat too much food before you exercise, you’ll feel sluggish and you may experience stomach upset symptoms, such as cramping and diarrhea. Within two hours after using the treadmill, plan to have a recovery meal. Choose a recovery meal that contains a mix of proteins and carbohydrates. This will aid in muscle repair and the recovery of glycogen stores. Sample meals include trail mix with fruit and nuts, peanut butter sandwich, turkey sandwich, cheese with whole grain crackers and fruit flavored yogurt. For dinner, runners can benefits from a meal consisting of lean protein and vegetables. The protein source should be high in iron since not getting enough iron in your diet can cause you to feel fatigued while running on the treadmill. If you eat meat, choose lean cuts of beef for dinner. Vegetarian options include spinach, legumes, kale, broccoli and fortified cereals. How Does a Cross Country Runner Gain Weight?